1. 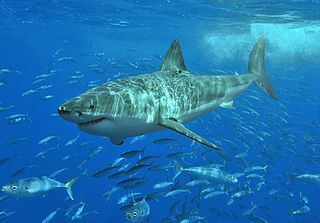 Great white sharks live in almost all coastal and offshore waters. as embedded functionality in Riverbed Steelhead and SteelFusion Edge. 2. The Great White is the ‘King of the Ocean’ in part because of its speed, voracious appetite, and exceptionally sensitive sense of smell. NetShark performs sustained line-rate, multi-gigabit per second recording using high-performance 1GB or 10GB copper or fiber interfaces on the same appliance; and supports up to eight 10GB interfaces. NetShark captures, indexes, and stores all data packets without the need for bulky file transfers. Use it to rapidly hunt down the data you need and save your organization hours of work and money in the process. The ROI is astounding! 3. Great Whites adapt their hunting tactics to suit the local prey. NetShark is flexible by design. It performs multiple discreet capture jobs defined by application type, allocated storage, and retention times to provide finer grained data collection for your most critical applications. You can also embed NetShark software within Riverbed SteelHead and SteelFusion devices to collect packet and flow data from branch sites without adding additional hardware. 4. Great White shark pups are three to four times smaller than adults and start hunting as soon as they are born. The new NetShark 6170 future-proof your investment by expanding from one to eight storage units without decreasing capability or speed. Storage units are available in 48TB or 72TB. A fully loaded NetShark 6170, with eight 72TB units, stores 576TB of high-resolution data. 5. Great White adults have a varied diet, consume approximately 11 tons of food each year and can go up to three months between big meals. The latest version of software, NetShark and Packet Analyzer, supports a vast list of packet protocols. For example, in addition to the previously supported ITCH, several new pan-European financial data feed protocols are now part of its diet, such as PITCH (Chi-X, BATS), Euronext and Aquis. NetShark 6170’s expanded storage capacity translates into days, weeks or months of packet captures available for audit and forensic analysis. This comes in especially handy for government, financial services, and healthcare organizations that must address security and compliance record retention requirements. Now that you have explored five fun facts about NetShark, it’s time to dive in deeper to learn even more! Visit the Netshark site, download the datasheet, and install the 30-day free trial today!